Did You Know You Can Read Nook and Kindle Books On Your iPhone? I just got the Nook iPhone Application so I can access my Nook e-books from my iPod Touch. It took a few seconds to download the App, and within a minutes, my whole Barnes and Noble e-library was available on my iPod. The Nook iPhone Application has many of the same features the Nook E-reader has, like being able to increase or decrease the font size. It's pretty cool. I thought the text would be too small to read comfortably, but actually, it's not bad at all. It will be perfect in those situations when I get stuck waiting somewhere unexpectedly, and need something to occupy my time. And the thing I like about the Nook app, is that the e-library synchronizes across all the devices I read on. So if I read a few chapters on my iPod or PC at lunch, later on, when I get home and pick up my Nook, it's going to know what page I left off on. It's much easier and more comfortable to read e-books on the Nook or Kindle because that's what they were made for, but there is one thing I can do on the iPod I can't do on the Nook or Kindle--I can read in the dark. It's back lit, so if I'm in a low light situation, it's a perfect substitute for the Nook. I've talked a lot about the Nook, because that's what I have, but Kindle has the same app for iPhone, and it works the same way with your Amazon e-book library. Nook Apps and Kindle Apps are also available for iPad, Android, and Blackberry--all are free downloads. You can also get Nook and Kindle Apps for your PC or Mac. Both of my Famous American Freemasons books, and the new novel One Last Shot are available for Nook and Kindle. You can get them for Kindle by going to my Author Page on Amazon.com, or for Nook by going to my Barnes & Noble listing at bn.com. 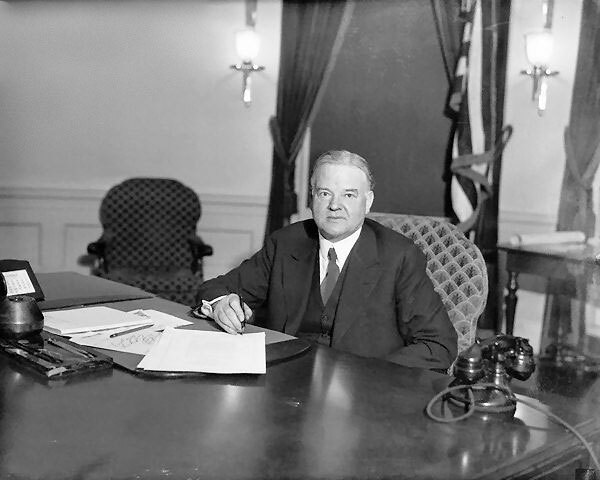 ﻿﻿﻿ On this day in 1929, President Herbert Hoover received the first telephone call in the Oval Office from his son. There had been phones and a switchboard at the White House since 1878 when Rutherford B. Hayes had the first ones installed. But there had never been a phone in the Oval Office until Herbert Hoover got tired of having to use the phone in the foyer, and ordered a line run to his desk. They ran into some technical difficulties, and it took a while to get Hoover's phone working correctly, but the President of the United States finally got his own digits on March 29th, 1929. "The harder you work, the more luck you have." 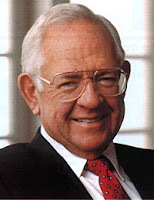 ﻿As you go back to work on Monday, remember something that Dave Thomas knew--you make your own luck in this life. You get out what you put in, and the greatest rewards are the ones you work hard for. We've all heard people say it about someone before. "He's had all the breaks." "He's lucky." "Things seem to come easy for that guy." But I'd be willing to bet if you took a close look, that guy hasn't had all the breaks, he's not been particularly lucky, and things didn't come to him near as easily as you might think. 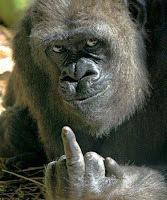 The reason it might look that way may be because of his attitude towards life. He's probably the kind of person that isn't easily rattled by life's challenges. 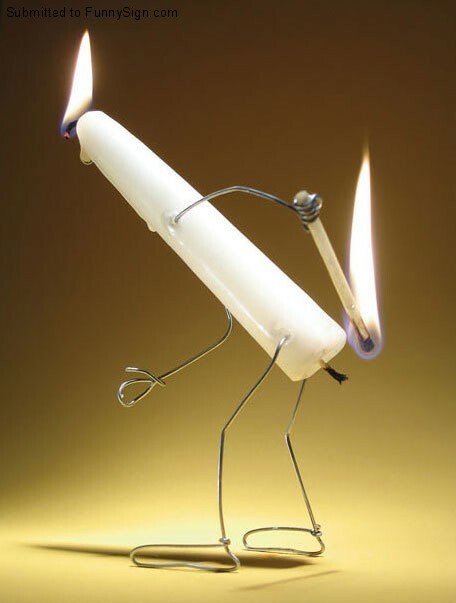 The kind of person that isn't afraid to roll up his sleeves and take on a problem no matter how large. He doesn't avoid making a big decision, and isn't afraid to take a chance. That's why he's more successful than those that would attribute "luck" rather than his actions as the reason. After studying and writing about so many remarkable men, one thing seems common to them all. It is the way they faced challenges. They tackled them head on. They went through them rather than around them. The larger the challenge, the more determined they were to succeed. And the things they managed to do are amazing. They saw the potentional of the reward rather than worry about the risk of failure. 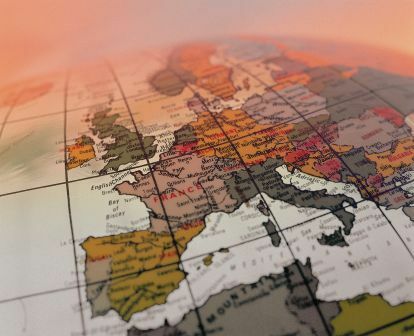 Most of those men knew instinctively that nothing was beyond their reach with enough hard work and determination--and that's why we still know their names today. In other words--no guts, no glory. ﻿﻿As I've more than adequately demonstrated over the last couple weeks, Freemasons (famous and non-famous alike) love their hats. And amongst the most identifiable of these hats is the Shriner's fez. There are probably a lot of people that don't know this, but Shriners are Freemasons. Now not all Freemasons are Shriners, but you have to be a Master Mason to be a Shriner. 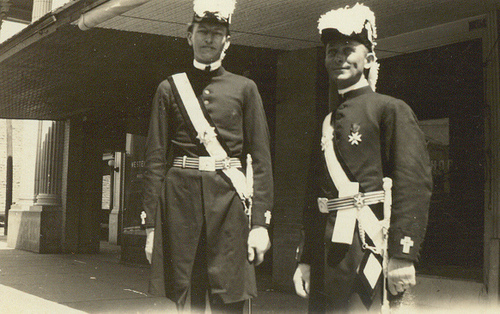 And the Shriner's have had a large number of very famous men amongst their ranks over the years. This is just a small sampling of some of them. 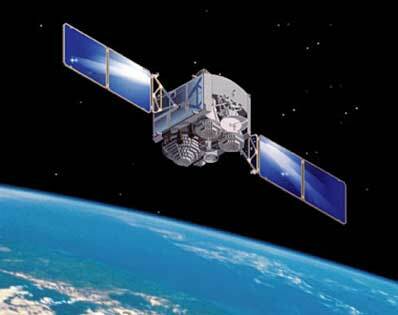 Many of America's astronauts have been Freemasons. One such man is Buzz Aldrin. In 1963 Edwin "Buzz" Aldrin became a member of the third group of astronauts named to join NASA. On November 11th three years later Aldrin and commander Jim Lovell launched into space aboard the Gemini 12 shuttle for a four day flight. the successful completion of this mission lead to the equally successful end to the entire Gemini program. While in outer space with the Gemini 12 Edwin "Buzz" Aldrin established a new record for activity outside a space shuttle by remaining outside in a lunar vehicle for 51/2 hours. Roy Rogers was called the "King of the Cowboys" during his long career as a folksy singing hero of movies and TV. He was an original member of the cowboy singing group The Sons of the Pioneers, and in 1937 he signed on with Republic Pictures, replacing their departing star Gene Autry. He starred in more than 80 westerns with titles like The Arizona Kid (1939) and In Old Cheyenne (1941). He often co-starred with cowgirl Dale Evans, whom he married in 1947. Rogers's famous horse was Trigger, a Palomino stallion with flowing white mane who became a favorite with Rogers's fans. In the 1950s Rogers moved into TV with the The Roy Rogers Show. His theme song with Dale Evans was the gentle and cheery "Happy Trails to You." John Wayne (born Marion Morrison) was the son of pharmacist Clyde Morrison and his wife Mary. 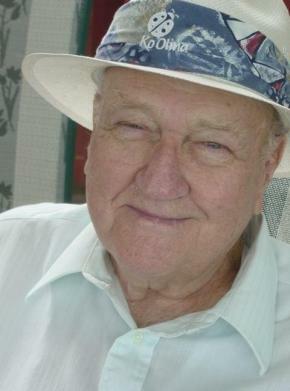 Clyde developed a lung condition that required him to move his family from Iowa to the warmer climate of southern California, where they tried ranching in the Mojave Desert. Until the ranch failed, Marion and his younger brother Robert E. Morrison swam in an irrigation ditch and rode a horse to school. When the ranch failed, the family moved to Glendale, California, where Marion delivered medicines for his father, sold newspapers and had an Airedale dog named "Duke" (the source of his own nickname). He did well at school both academically and in football. When he narrowly failed admission to Annapolis he went to USC on a football scholarship 1925-7. Tom Mix got him a summer job as a prop man in exchange for football tickets. On the set he became close friends with director John Ford for whom, among others, he began doing bit parts, some billed as John Wayne. His first featured film was Men Without Women (1930). After more than 70 low-budget westerns and adventures, mostly routine, Wayne's career was stuck in a rut until Ford cast him in Stagecoach (1939), the movie that made him a star. He appeared in nearly 250 movies, many of epic proportions. 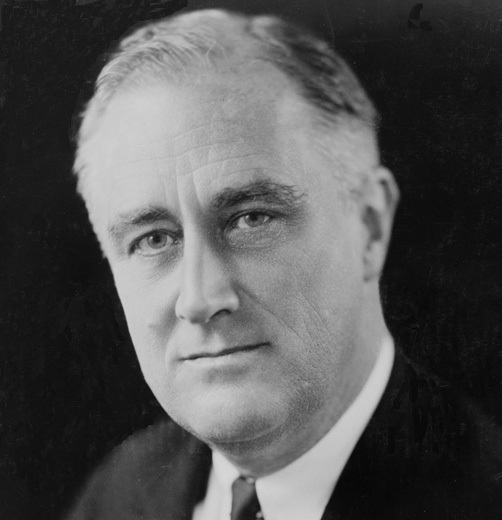 From 1942-43 he was in a radio series, "The Three Sheets to the Wind", and in 1944 he helped found the Motion Picture Alliance for the Preservation of American Ideals, a right-wing political organization, later becoming its President. His conservative political stance was also reflected in The Alamo (1960), which he produced, directed and starred in. His patriotic stand was enshrined in The Green Berets (1968) which he co-directed and starred in. Over the years Wayne was beset with health problems. In September 1964 he had a cancerous left lung removed; in March 1978 there was heart valve replacement surgery; and in January 1979 his stomach was removed. 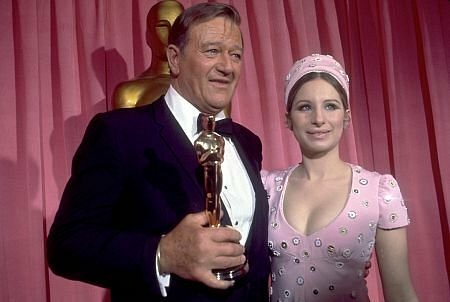 He received the Best Actor nomination for Sands of Iwo Jima (1949) and finally got the Oscar for his role as one-eyed Rooster Cogburn in True Grit (1969). A Congressional Gold Medal was struck in his honor in 1979. He is perhaps best remembered for his parts in Ford's cavalry trilogy - Fort Apache (1948), She Wore a Yellow Ribbon (1949) and Rio Grande (1950). Mel Blanc, voice specialist from radio, movies and TV was rarely seen by his widespread audience. On 1940s radio, for example, his voice supplied the sound effects for the comedian Jack Benny's antique "Maxwell" automobile's gasping and wheezing and struggling to crank up. More widely recognised as the voice of virtually every major character in the Warner Bros. cartoon pantheon, including Porky Pig, Bugs Bunny, Daffy Duck, Tweety & Sylvester both, Yosemite Sam, et al. Since Blanc's death, his son Noel Blanc has taken up some of his father's mantle. Now I think almost everyone knows that the lyrics to "The Star Spangled Banner" come from a poem "In Defence of Fort McHenry" written by Francis Scott Key in 1814 to record the events he witnessed from aboard a British ship as the British Navy bombarded the fort. What's interesting is where the melody came from. It was a popular British drinking song written by John Stafford Smith for the Anacreonic Society. 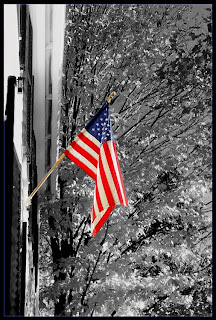 The tune was already well known and popular in America with several different versions of the lyrics in circulation, and Francis Scott Key's poem was adapted to the already well known melody. 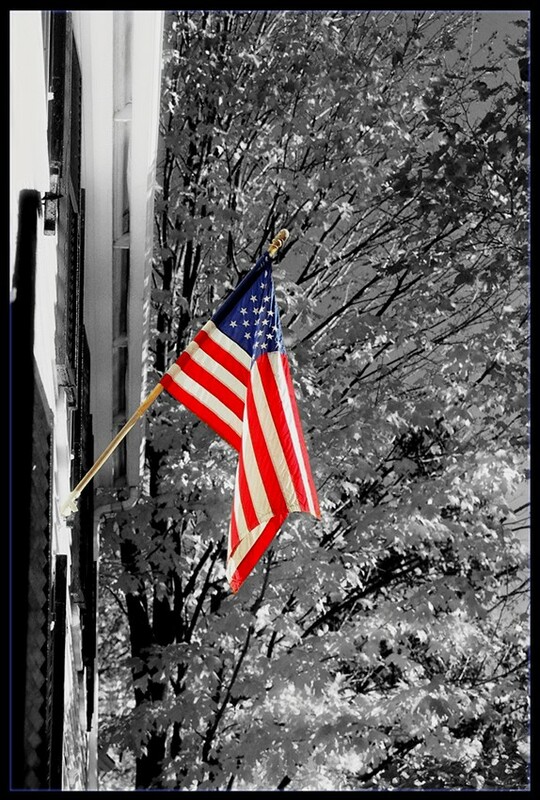 "The Star Spangled Banner" was officially recognized for use use by the Navy in 1886. President Woodrow Wilson first suggested it be made the National Athem in 1916, but it wasn't adopted until 1931 when the measure was passed by an act of Congress. And there you have it--how a British drinking song came to be America's National Anthem. Another thing you may not be aware of . . . there are three more verses! And famous poet Oliver Wendell Holmes wrote another verse during the Civil War that appeared in popular songbooks at the time. 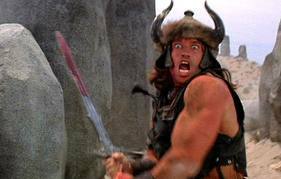 And Not a Moment Too Soon: A New Conan the Barbarian Movie! Do you remember back in December when I wrote a piece called Do We Really Need a New Rooster Cogburn? I caught a lot of flak over that post because I thought remaking a classic like True Grit was in bad taste, it lacked originality, and took away from John Wayne's original performance which, by the way, he won an Academy Award for. I haven't changed my mind about that. Oh, Snake, you're the one eye love! It just seems like the smarter our computers get, the dumber we get. All these fantastic computer generated graphics, and high tech know-how, and all we can manage to do with it is remake Escape From New York? I wish that were a joke, but it was bound to happen. I mean first Tom Cruise wears an eye patch in Valkyrie. They spent all that money on the eye-patch so they bring back Rooster Cogburn. It does well, so they think it's all about the eye-patch. 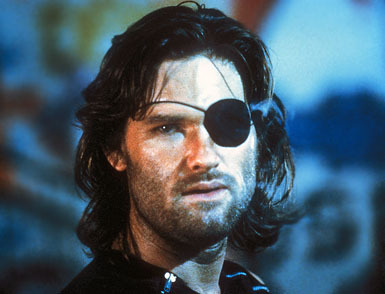 Snake Plissken was the next logical choice. As I said in that original post, sometimes it seems like we're just out of ideas. Can Barnaby Jones be far from a comeback? So I wasn't too surprised I was right about where this was all going. 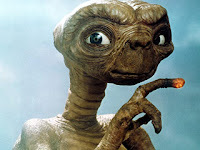 We're about to be inundated by a whole range of remakes, both in the cinema and on our televisions, and in the vast majority of the cases, the original wasn't that great. There are 75 remake projects going on right now. 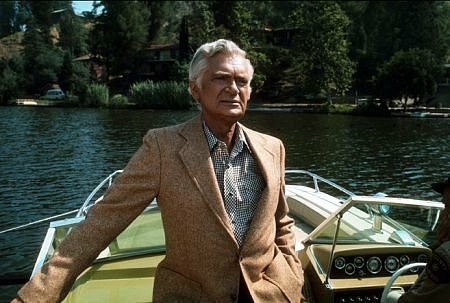 You'll all be excited to learn that NBC is re-booting a new version of the Rockford Files, in the same way CBS re-booted Hawaii Five-O. And it 2012, Gilligan's Island will be headed to the big screen! I wouldn't lie about something like that--it's true! Director goes "back to the script" for inspiration. Perfect. ﻿I'm particularly excited about the new Conan the Barbarian movie. In order to recapture that original vision for the film, the director has gone back to the original script for inspiration! That is a great idea since that movie was so well known for it's witty dialogue, complex characters, and complicated storyline. You don't want to get that wrong. I'll tell you what I'm for. I'm going to want to see cameo appearances. You got to get James Earl Jones back. With modern computer animation, his transformation into the giant snake would be, dare I say, as believable as it was in the original. What's Marc Singer doing these days? Maybe he could make a cameo as the Beastmaster (or wait, are they remaking Beastmaster too). The possibilities are limitless! Call me . . . I'm available! A lot of exciting new, er, old things coming to a theater near you in the months coming up--tired, old, ideas. Remakes of movies like Romancing the Stone, Arthur, The Neverending Story (but isn't it about time it did? ), Porky's, and even Robocop may be coming back! You're going to drive by the theater this summer, and think you've traveled back in time thirty years. I mean, seriously, what are they going to pull out of mothballs next? I got a lot of remarks about the Freemasons and Their Hats post I did last Friday, so I thought I'd share a few more pictures I've collected of Famous American Freemasons and Their Hats. I am the Famous American Freemasons guy afterall. 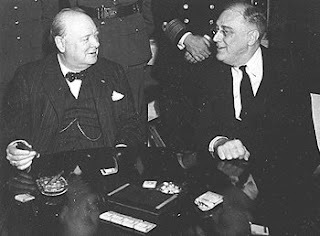 Everyone knows there are a lot of famous Freemasons, including fourteen United States Presidents, but of all those only two were Grand Masters. 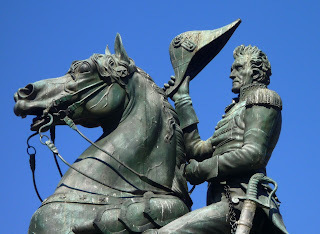 Andrew Jackson was the Grand Master of Masons in Tennessee. And Harry S. Truman was the Grand Master of Masons in Missouri (an honor he said, years after being President of the United States, was the greatest honor he'd ever known). 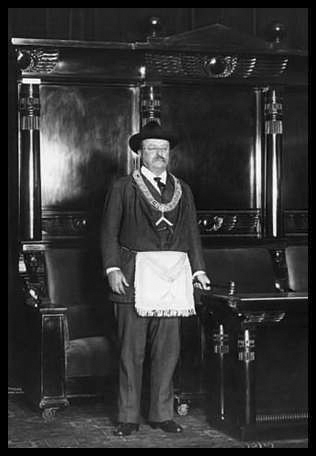 Teddy Roosevelt was also a Freemason, and while he's pictured wearing the hat and jewel of the Worshipful Master, he was never the Master of a lodge. 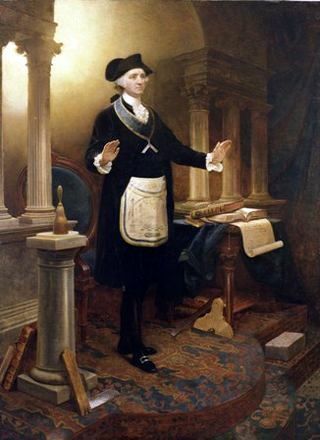 The same is true of George Washington, again, pictured wearing the jewel and hat of a Worshipful Master, but never having been installed as Master of a lodge. Washington also performed the Masonic cornerstone ritual as Master at the United States Capitol building. 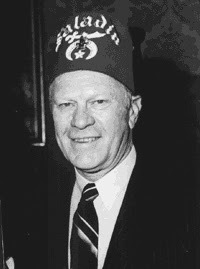 Gerald Ford was a very active Freemason. 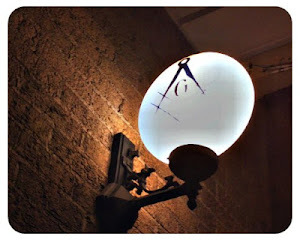 He was raised a Master Mason at the same time as his three brothers. He spoke at the unveiling of the George Washington National Masonic Memorial in Washington, D. C. in 1975. Gerald Ford also had the distinction of being the only United States President that had attained the rank of Eagle Scout. 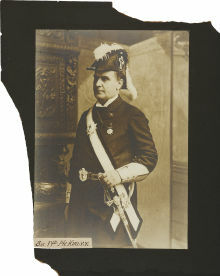 Often cited as one of the most honest and dependable of the United States Presidents, William McKinley was an active Freemason. McKinley became a Master Mason shortly before the end of the Civil War, in a lodge in Virginia. He was raised by officers that served both the Union and the Confederacy. He became a Knights Templar in 1884. Lots and lots of Famous Freemasons in United States history, and these are just some of the Presidents (not all of them). Somebody ought to write a book all about Famous American Freemasons, or better yet, write two of them. It's been a very busy couple weeks, but I've made significant headway in getting the second novel, tentatively titled A Shot After Midnight, out of the planning stages. The writing has begun, and I've finished a dozen chapters so far. It's kept me up writing until well after midnight every night this week. Once I get to this stage, it goes really fast. Most of the heavy lifting is working out the story. Once that's done, I just sit down and begin knocking it out. It's going really well, and I'm shooting for a Fall release. So watch for it. It's a great story, and it's been fun bringing all the characters back from the first book, and adding several new ones. Levi and Tori are back. Of course Rosco is back too--no longer a puppy. They're enjoying the tranquility of living in the small town of Twin Rivers. However, I don't think that tranquility is going to last very long. When I get about half way finished with it, I'll post a few chapters perhaps. And of course, I'm really looking forward to working with the brilliant cover designer, Brion Sausser, again. I can't wait to see what he comes up with for the cover. One of the greatest honors a Mason can receive is to be elected Worshipful Master of their Blue Lodge (Craft Lodge, Symbolic Lodge, etc.) It's called by several names but basically, you're the chief-smoke in the lodge where you live. 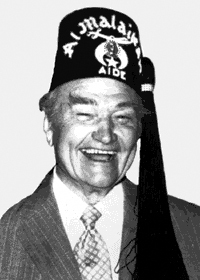 And of course, the Master of the lodge is the only guy in the lodge that wears a hat. My four-year-old asked me after my installation why I wore a hat. I told her "because I sit in the East, and the sun gets in my eyes." Masters give some thought to the hat they wear. Some go traditional and wear a top hat, while others wear a more western hat or go with a nice fedora. Some get the priviledge of wearing a hat belonging to a previous Master. Some wear a hat belonging to their father or grandfather. But there's not question about it. Masons like hats. No, that's not completely accurate--Masons LOVE hats! 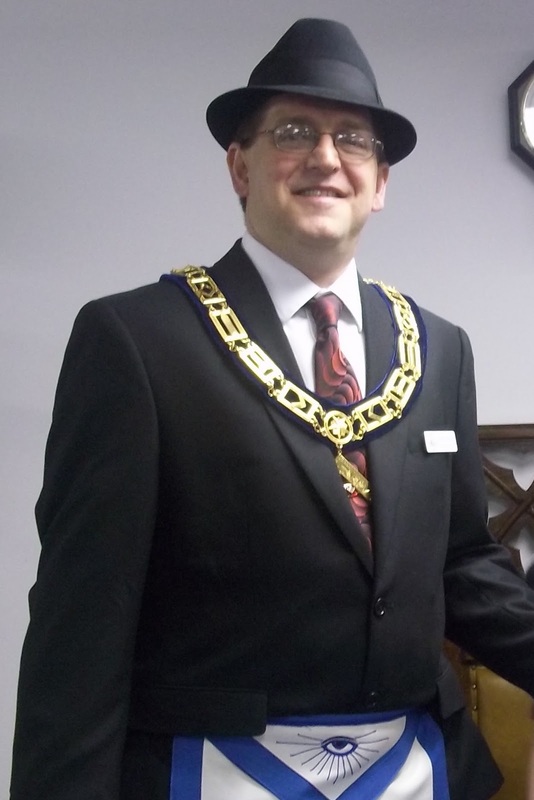 Hats and Freemasonry have gone together from the very beginning, and it seems like every appendant body has its own hat tradition. You've got the traditional chapeau worn by members of the Knights Templar. ﻿The Scottish Rite wear hats too--caps in a variety of colors each indicating a different thing. The coveted white cap representing the fraternity's highest honor--the 33rd Degree. 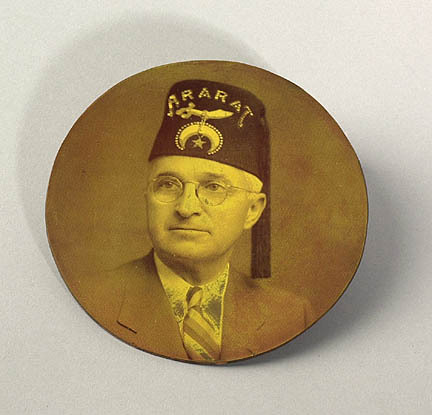 Of all the Masonic hats and caps, the Shriner Fez is probably the most famous. You can't really call it a parade if the Shriners aren't there. They are the most visible of all the Freemason appendant bodies, and their philanthropic work in the Shriner's Hospitals the most well known. ﻿Of course, there are other hats too. I got to wear a Roman helmet once. I liked that part in the degree, but I only took it because I got to wear the helmet. ﻿My hat is pretty ordinary, but it's also very special. It's a very old hat, a black stingy brim fedora, that belonged to a very old man named Raymond Van Buskirk. 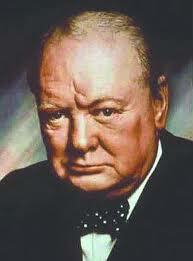 In 1949, he was Master of Ogden Lodge. Raymond was my neighbor since I was a little kid, and like a grandfather to me. 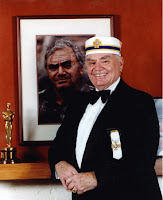 He signed both my petition for Ogden Lodge, and my petition when I joined the Scottish Rite. He gave me his hat to wear at my installation. He passed away in December, and his daughters told me to keep the hat. Since December, I've worn it every meeting, and will continue to do so until I leave the East in a couple months. Then I'll put it up in my closet, as he did, and perhaps one day a grandson or nephew can wear it in the East as I did. 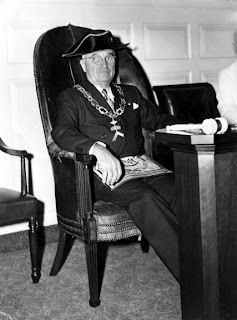 ﻿Now as a Mason, you may live to be a very old man, but as you can see from the picture, even an old Past Master like Raymond, sixty years out of the East, never got over his love of goofy hats--it's part of our Masonic DNA. That hat can only be described one way--that is a humdinger. And this is the same man that once said to me, "did you buy that hat, or did you lose a bet?" It's been kind of fun to watch as over the last month and a half, One Last Shot has continued to turn up in the most unlikely of places. Most recently--in Sweden? Without a doubt, I think making the electronic versions available has helped with the distribution. You can now purchase it at any of the online sellers and mortar and brick stores stores listed below (although you'll most likely have to order it in a store unless you're very lucky). 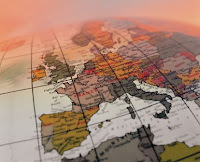 There is one obvious bookseller missing from the list--Borders. They won't carry it in their stores, and they won't list it on their website. And they won't change their mind. So try this. If you happen to be in a Borders store (I don't know why you would be since they don't carry any of my books) ask for the book, and when they tell you they don't carry it, say "Oh, I'm sorry, I thought this was a quality bookseller. I'll just go over and buy it at Barnes & Noble--I just saw it there. They have better coffee anyway." Then just walk out. You can do it two or three times a day if you want. I appreciate it. You know what else would be fun? I'm having a little promotional contest. If you're the first person to buy a copy of my book from all the websites below, I'll send you a special autographed limited edition. You snooze you lose, so get out that credit card, and get started as soon as possible. 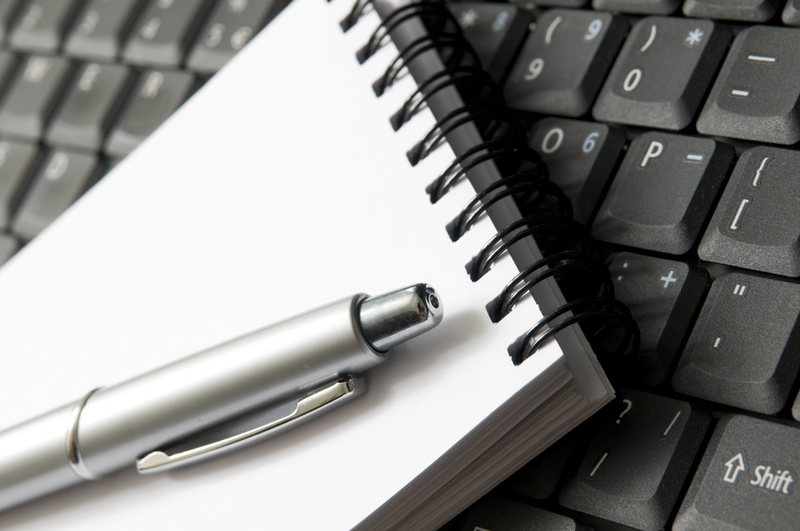 Deciding On The Next Project: Fiction? Or Non-Fiction? I'm very surprised at how well my recent novel One Last Shot has been doing, considering I've done very little to promote it. It just keeps popping up places, and I've been getting a lot of positive email about it. I've been toying with the idea of writing another novel based on the same characters ever since I finished the first one. 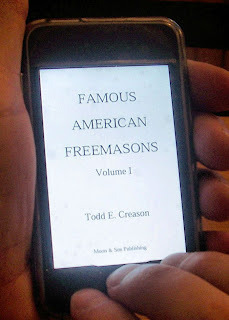 But I'd also been toying with the idea of writing the third and final installment of the Famous American Freemasons series. Due to the overwhelmingly positive response on the novel, I've decided to go with that. It's shaping up to be a busy year, but in the free moments between my full time job, taking classes, being a husband, a father, and a Freemason (and the editor of a fine monthly lodge newsletter), I'm going to write another novel this year. 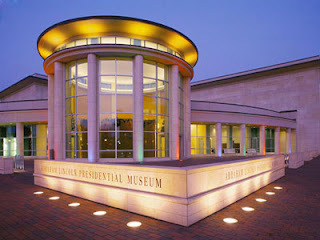 If you live in Illinois, and are looking for a great place to take a day trip (especially on a rainy Sunday in February), check out the Abraham Lincoln Presidential Library and Museum in Springfield. We had a great time there on Sunday, and I was a little concerned our four-year-old wouldn't get much out of it, but she had a blast. This isn't like any other museum I've been too. It's very interactive. 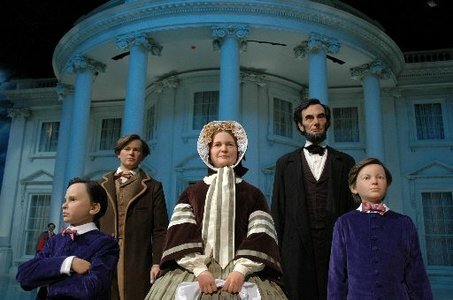 There are the more traditional displays, and scenes from Lincoln's life depicted with wax models. But there are other ways the museum has found to take visitors back to Lincoln's age. I particularly enjoyed the whispering hallway. Lincoln wasn't popular with many, and as you pass down this corridor with the walls covered with political cartoons of the day, you hear what many people were whispering about Lincoln during his time. 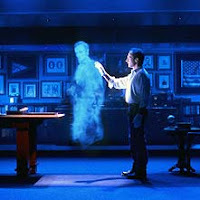 The ghosts in the library presentation was excellent too--a lesson in history taught in part by holographic ghosts from the past. Katie liked that. She also enjoyed the thunderous presentation in the Union Theater "Lincoln's Eye's" which included rumbling seat, lightning, exploding cannons, and the smell of gunsmoke. There's a lot of history in Springfield, and a lot to see at the Lincoln Museum and many other sites in and around Springfield--the Old Capital Building, Lincoln's Home, Lincoln's Tomb, Law Office, etc. I've visited Springfield many times (at least twice a year), but I think the last time I took a look around as a tourist before Sunday, was back when I was a Cub Scout.